The relatively small town of Asheville, North Carolina is often described as having a “vibrant art scene,” and while this is certainly true, the descriptor can at times function as a bit of an empty catch-all. An arts community is made up of many parts, and its vitality can often be found in less expected spaces. While the arts and crafts tradition the region is known for definitely still dominates in terms of overall presence, there is a burgeoning contemporary art scene that is beginning to thrive as well. And, of course, the two are not mutually exclusive – nor should they be. Distinctions made between these poles are just as meaningless as those arbitrarily placed upon pop/low-brow art and the persistently baffling category of “fine” art. But, there is a bit of a disconnect in Asheville between individual artists, the public and policymakers in terms of how “the arts” are conceived and/or valued that relates pretty directly to this type of confused categorization. (I should note this complication is certainly not exclusive to Asheville, as many other communities struggle with this as well). A number of local non-profit and artist-run spaces are doing their part to enhance and broaden conversations around the arts in Asheville, in the hopes of bringing our community together to engage with and discuss artworks and projects that often challenge preconceived notions around our experience of art. And, it’s a pretty exciting time for contemporary art in Asheville, with a lot of energy coming from a rapidly transforming section of downtown we’ve decided to playfully dub, The Broadway Arts District, or, The B.A.D. (as a play on/response to The River Arts District, or, The R.A.D. – Asheville’s more widely known arts neighborhood). The B.A.D. houses the two primary nonprofit heavy hitters in town, The Black Mountain College Museum + Arts Center and the more recent addition, The Center for Craft, Creativity & Design. Both venues regularly mount diverse and challenging exhibitions accompanied by thought provoking programming that allow visitors the opportunity to engage with the work through discussions, workshops and symposia. Free from commercial constraints, these spaces show work that doesn’t rely on market value, instead realizing exhibitions that are rich with cultural significance, with an emphasis on process and ideas. 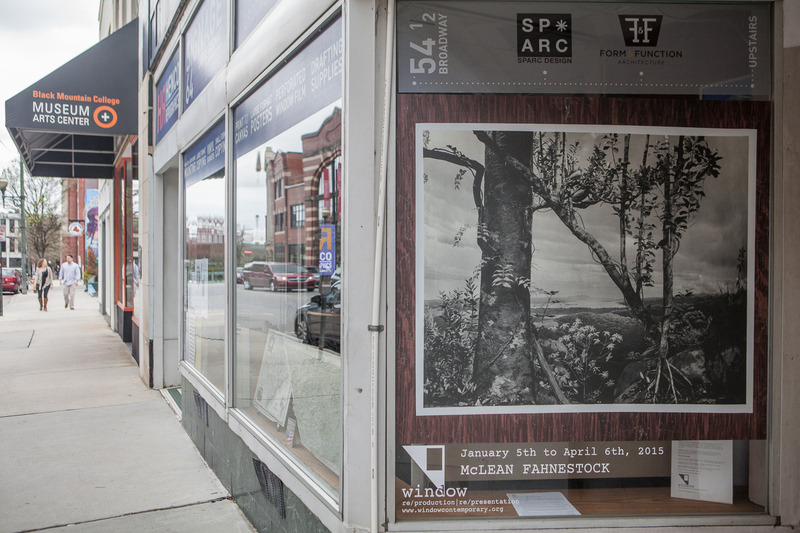 An artist-run companion to these two brick and mortar spaces is Window (Re/production | Re/presentation), an experimental public art project in a nearby storefront which began in 2013 and is run by myself. 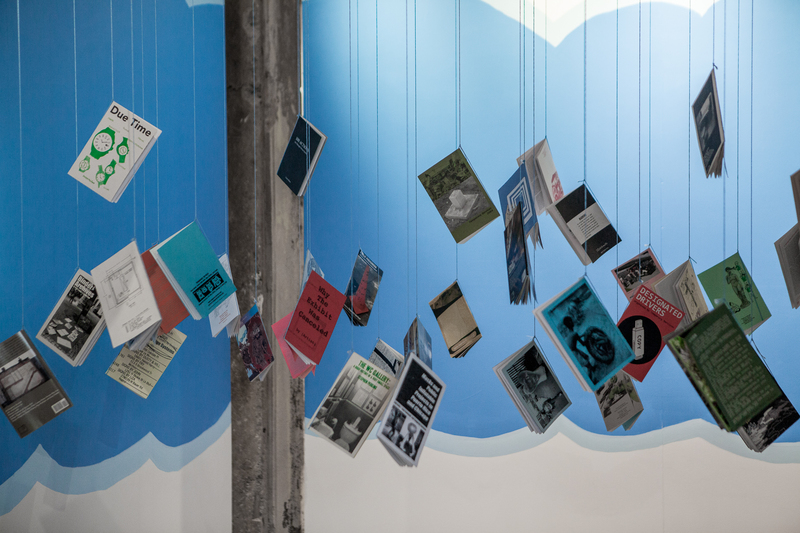 Rounding out the district is the long-running Satellite Gallery, which although a commercial space, supports the work of under recognized and experimental artists with regularity. Of course, there are a number of like-minded arts and advocacy spaces/organizations outside of the B.A.D. that are essential to the community as well. Among them are The Asheville Area Arts Council (located in the Grove Arcade in the center of downtown), The Asheville Darkroom and Revolve (both located in The River Arts District) and The Media Arts Project, a long-standing promoter and supporter of artists and projects that fall outside of easily definable categories. The Mothership of sorts, this center serves as the physical container for a WHOLE lot of history. 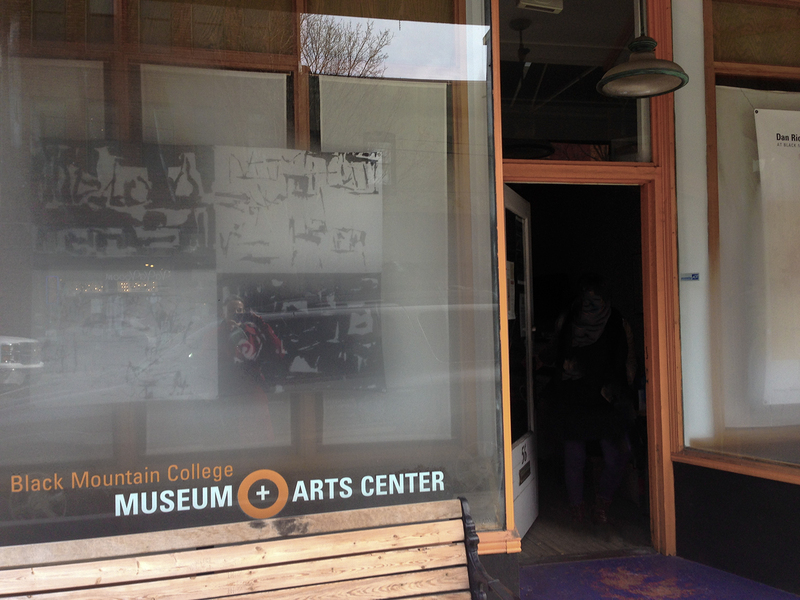 If you aren’t familiar with the (still) influential legacy of Black Mountain College, do yourself a favor and spend some time perusing the wealth of information available on the BMCM+AC website and get to know this cultural institution even better by (if you are a local) regularly visiting the space on Broadway. And, in the coming months, there will be even more to see and do as an expansion is in the works that will allow for a second gallery space in the building across the street owned by The Center for Craft, Creativity and Design. Relocating to the B.A.D. in 2014, The Center for Craft, Creativity and Design has already proven itself to be a powerhouse in the neighborhood. In its first three major exhibitions (CTRL-P; Gee’s Bend, From Quilts to Prints; and, Loving After Lifetimes of All This) the Center’s gallery, Benchspace, has clearly articulated the organizational mission of advancing “the understanding of craft by encouraging and supporting research, critical dialogue, and professional development in the United States.” These experimental exhibitions managed to break down the genre-imposed barriers that can sometimes limit a more considerate appreciation of contemporary craft. 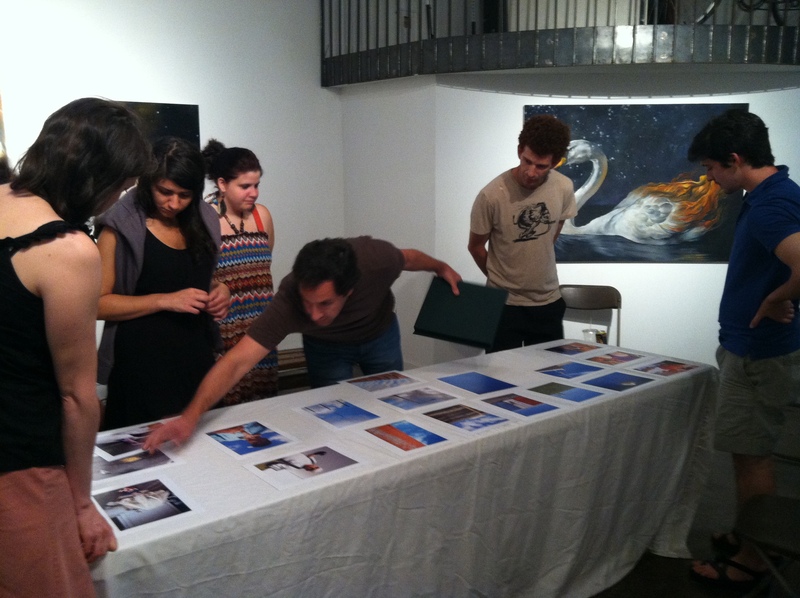 Conceived of as an experimental platform for public art and housed within a portion of the storefront of Henco Reprographics on Broadway (and adjacent to BMCM+AC), this quasi-gallery was founded to promote dialogue and exchange around timely issues related to representation in contemporary art. The artists who are invited to realize new works for the space create imagery that relies upon reproduction as essential (in some way) to the content of the work via philosophical, theoretical and/or formal/process-based frameworks. Due to the relative simplicity of the project (artists send their work in digital form to be printed at Henco), Window (Re/production | Re/presentation) has been able to share the work of numerous prominent and emerging national and international artists with the community. Dawn Roe works between Asheville, NC and Winter Park, FL where she serves as Associate Professor of Art at Rollins College. Her studio practice incorporates the use of still photographs and digital video in both singular and combined forms. Roe founded the public art platform Window (Re/production | Re/presentation) in 2013.